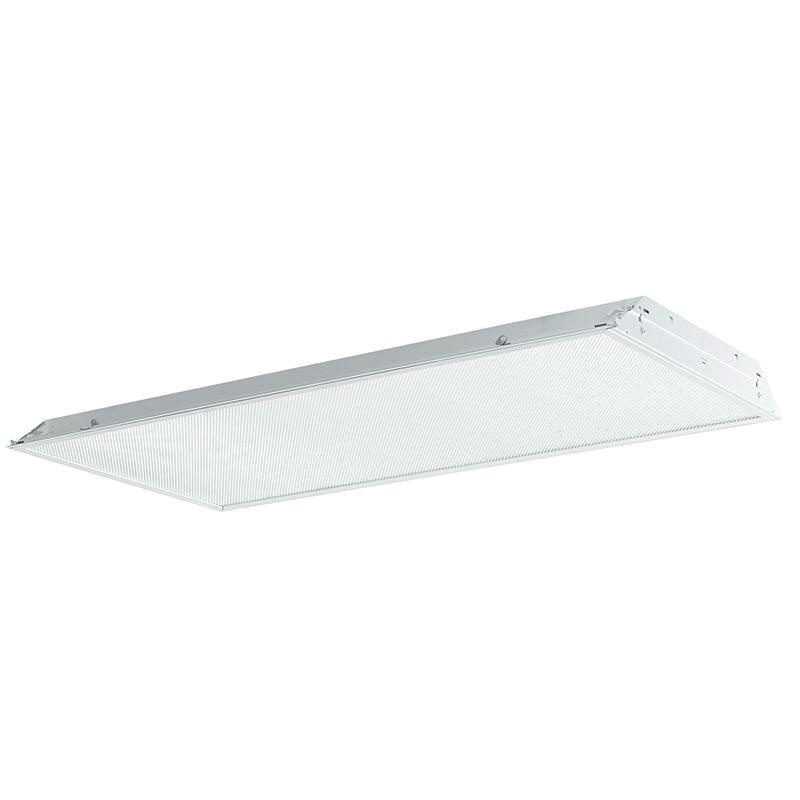 Philips Lighting Daybrite Collection TG8 recessed fluorescent lensed troffer is high-quality low-profile recessed luminaire with ballast specification features. Troffer features 3-Inch nominal housing depth with smooth rolled-edges on all four sides for easy handling. Die-formed 1-Piece housing includes stiffened embosses that provides increased rigidity. Housing is multistage phosphate treated for maximum corrosion resistance and has finish coat with high reflectance baked white enamel. Lamp pin opening in housing ends allows for easier relamping when using straight lamps. It features integral baffling system to prevent light leaks and has integral wire hanger holes for independent wire suspension. Troffer is cULus listed.